How do you satisfy the ever growing demand for higher performance… Well the answer is to make smaller Modules with faster DSPs and more memory. The SMT374 is a masterpiece of integration as it has TWO ‘C6713 Floating-point DSPs, a very large FPGA and 256 Mbyte of SDRAM. The SMT374-6713 offers more than twice the performance of the SMT375 at a similar price! Click here for a guide to the SMT374 comport connections as a standalone PC .EXE file (zipped up). Six ComPorts up to 20Mbytes/s each for InterDSP communications. One Global Bus interface for Host communications. The SMT374 provides a flexible platform for the next generations of Image Processing and Industrial solutions. 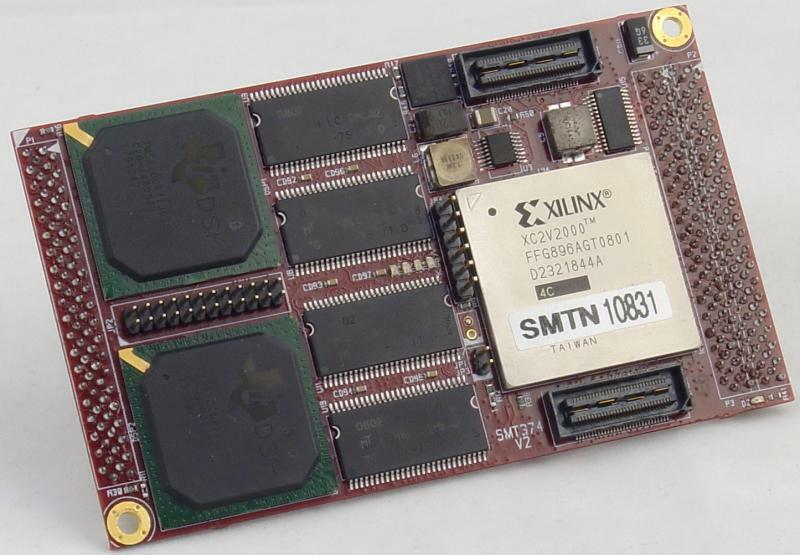 With the added benefit of the large Virtex II FPGA, the SMT374 will enable pre-processing to be done “On-the-Fly” before the DSP gets the data. 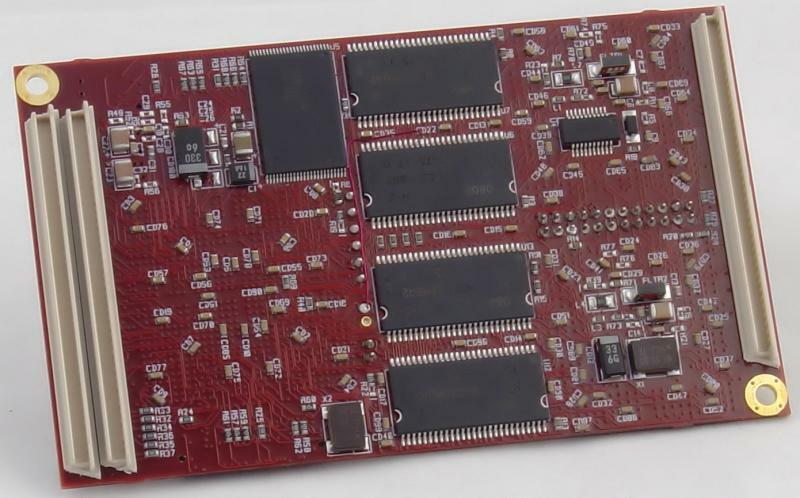 The Sundance provided basic VHDL Cores for InterDSP communication take approximately 500k gates of the FPGA with the rest available for the user. 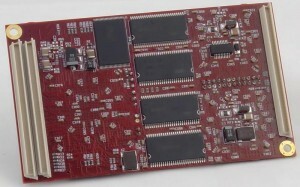 The two DSPs share a 1kbyte Dual-port memory inside the Virtex-II FPGA, but the individual DSPs have their own memory and a Sundance High-Speed Bus each.